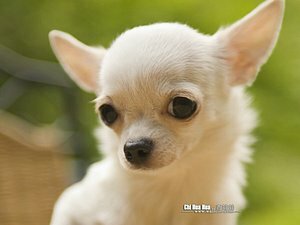 Being naturally territorial and protective, Chihuahuas can be easily provoked to attack, and are therefore generally unsuitable for homes with small children. The AKC describes the breed as, "A graceful, alert, swift-moving little dog with saucy expression, compact, and with terrier-like qualities of temperament." The breed tends to be fiercely loyal to one particular owner, but may be attached to more. They do not always get along with other breeds. These traits generally make them unsuitable for households with small or boisterous children.